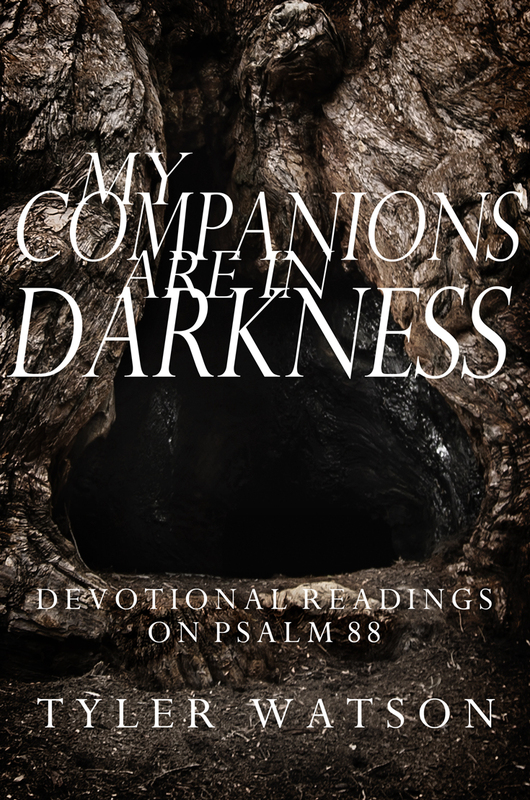 The following is the first essay from my new devotional, My Companions are in Darkness: Devotional Readings on Psalm 88, available both in the Kindle format and hard copy at Amazon.com. Karl Marx famously declared, “Religion…is the opium of the people,” in which fantasies of a soothing God and a disembodied ecstasy in Heaven are given to drug people so that they might remain numb to the reality of their current suffering. We can look at the history of the Christian Church, including at some contemporary sermons, worship songs, and books and see that Marx had a point—the Christian message has, at times, been watered down to a set of feel-good affirmations that deny the reality of suffering and death. Such a diluted faith can offer only the thinnest of blessings that do not address the fullness of the human experience. We face the temptation to anesthetize ourselves with beliefs that God only wants us to experience happiness or that this life doesn’t ultimately matter, rather than truly wrestle with God in the midst of the confusion and pain that each of us experiences and sees in others. Thankfully the Psalms offer no opium to our suffering. In these prayer-poems we encounter the full arc of human life—joy and sadness, victory and loss, peace and fear, confidence and doubt, health and sickness, birth and death. They don’t drug our pain and turmoil with flaccid promises of escape. The writers of the Psalms display keen awareness of their distress and voice their shock, fear, and anger. As readers, we do not find opiates numbing us to troubles. The Psalms instead act like smelling salts, waking us up to the reality of life’s complexity and to the God who is with us through it all. Psalm 88 is one of the darkest and most intense prayers of lament in the whole Bible. The psalmist accurately describes suffering and the confusion it brings while teaching us a way to speak to God when we experience turmoil. This little guide will help you prayerfully read through Psalm 88 in eighteen days. The people of Israel and the Church have used the Book of Psalms as their prayer guide and hymnal throughout history. The Psalms have much to teach us about prayer if we simply slowed down and allowed their poetry to usher us into a world that deals directly with the joys and sorrows of life as well as the God who is immediately available. As you read and pray, bring your whole life forward. If you face trouble and question where God is, let the words of Psalm 88 shape your prayers. Walter Brueggemann writes, “Psalm 88 is a defiant, buoyant prayer that relentlessly holds God accountable for experiences of trouble and at the same time holds God in hope of what God will yet do.”  If you do not find yourself in the same place as the psalmist, remember when you were troubled and when God seemed distant and callous to your suffering, or think of those who are in turmoil and pray this psalm along with them. Come and allow Psalm 88 to act as smelling salts to wake you up to the real trouble and confusion in the world. Come pray with God’s people, calling out to the God who is our only hope for salvation. Karl Marx, A Contribution to the Critique of Hegel’s “Philosophy of Right,” translated by Annette Jolin and Joseph O’Malley, (New York: Cambridge University Press, 1970), 131. Walter Brueggemann, “The Psalms as Prayer,” in The Psalms and the Life of Faith, ed. Patrick D. Miller (Minneapolis: Fortress Press, 1995), 62.